SASI-CALC is a simple, easy and intuitive program to determine child support in Maryland. Simply enter your Name, County, Case Number (If you have it) the Names, Dates and Number of Children. Simply enter the monthly amounts and you are done. If you are not sure of certain numbers just insert the approximate amount and print out as many scenarios as you want during your subscription period. Monthly incomes over $15,000.00 is considered over guidelines and is at the discretion of the Court. Each time you change a number the resulting Maryland Child Support could change. 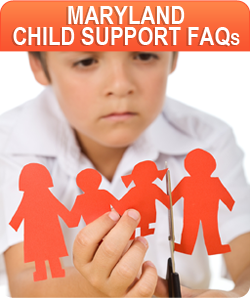 The Court has the right to deviate on any child support amount. All access to our program is through our secure servers. Click the button below to purchase and download the SASI App instantly! 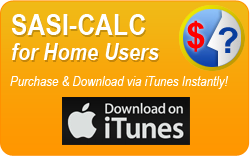 WARNING: THERE ARE SEVERAL ONLINE CHILD SUPPORT CALCULATORS WHO PROVIDE WRONG CALCULATIONS - DON'T BE FOOLED - Use SASI-CALC! 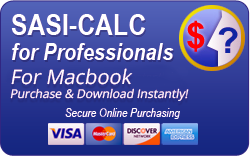 SASI-CALC VERSION 12 for 2015 NOW AVAILABLE, containing the LATEST Maryland Child Support Guidelines.